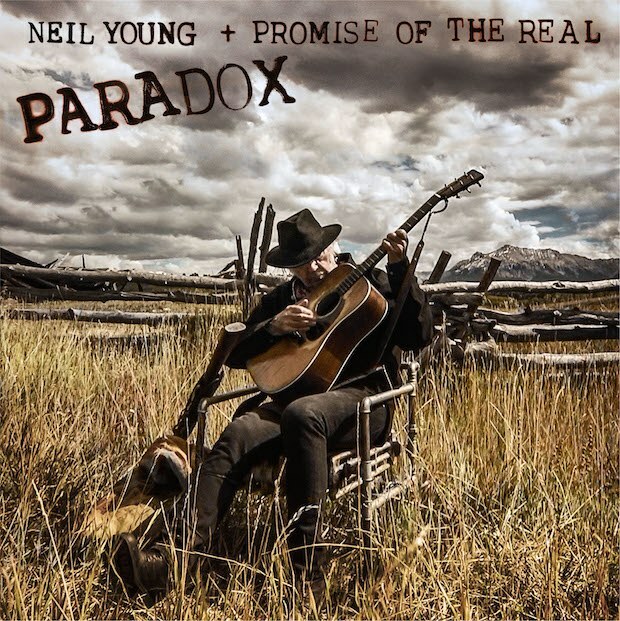 Neil Young and the Promise Of The Real will release the soundtrack to the upcoming film, “Paradox”, on double vinyl and digital on March 23, with the CD to follow on April 20. Produced by Young and John Hanlon, the project presents music from the singer in multiple configurations: with the band; with an Orchestra recorded on the MGM Soundstage; backed by Jim Keltner, Paul Bushnell and Joe Yankee; and, performing several solo electric guitar passages. 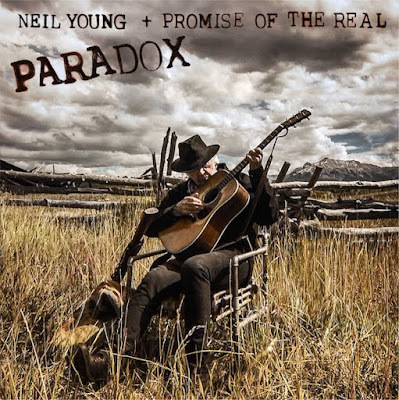 Written and directed by Daryl Hannah, “Paradox” is billed as a fantasy western that sees a band of cowboys and outlaws pass the days hiding out in the mountains, digging for treasure while they wait for the full moon to bring its magic; Young plays the “Man In The Black Hat” alongside Promise Of The Real members Micah Nelson “The “Particle Kid”) and Lukas Nelson (“Jail Time”). “Paradox” will see its world premiere at the SXSW Film Festival in Austin, TX on March 15 before appearing on Netflix on March 23 and in a limited theatrical release. Beyond the film soundtrack, Young will issue “Roxy - Tonight's The Night Live”, a recording from a series of September 1973 shows at the famous Los Angeles club, in April. The set captures the guitarist performing during the venue’s opening week with the Santa Monica Flyers, the name he gave to the band featured on his sixth album, comprised of Nils Lofgren on piano, Ben Keith on pedal steel guitar, and Crazy Horse members Billy Talbot on bass and Ralph Molina on drums. 13. "Diggin' In The Dirt"
15. "Running To The Silver Eagle"
16. "Baby What You Want Me To Do?"